The use and abuse of alcohol can be traced centuries back before regulations were created to control its consumption. The 1830s can attest to that fact when alcohol consumption reached up to 7.1 gallons annually. This is, of course, a staggering increase from the 5.8 gallons of alcohol that was consumed in the 1790s. Not too long after, the prohibition of Alcohol consumption was ushered in by the 1900’s. The prohibition, thanks to the 18th Amendment, did little to decrease alcohol consumption. It, however; led to an increase in the consumption of the drink that so many had grown accustomed to. The 1960’s can bear testament to the above-stated fact, as America was once again flooded with alcohol. Up until today, high alcohol consumption and abuse still remain rampant. Yet, it was still viewed as a disease in the 1900s just as it is in our current generation, and rightly so. Alcoholism is not the only problem that America, as well as the rest of the world, faces. Drug abuse of different substances has become rampant and is now declared a public health problem. Drug and alcohol abuse not only threatens our structural and societal norms but threatens our economy as a nation. That said, one major drug that is running amok within the confines of the American continent is the opioid drug. So much so, that it has been declared a National Emergency, as many people are quick to identify it as an epidemic. According to the National Institute on Drug Abuse, over 115 individuals die on a daily basis from overdosing on the opioid drug. Please note, that this statistic reflects the state of the United States. The year 2015 saw over 32,000 American individuals die after overdosing on opioids. 2 million American adolescents and adults were found to be addicted and dependent on the opioid pain relievers. Needless to say, the numbers have increased significantly over the years, cutting down our labor force. The effect of misuse of prescription opioids in America can be estimated to at least $78.4 million as stated by the Centers for Disease Control and Prevention. It goes without saying that not only our economy is being affected, but our social structures are getting eroded. Opioid is not the only drug that is commonly abused by the American population. Below, are a few commonly abused drugs. Alcohol – As previously mentioned, this remains a huge problem among the American population, as well as the world. Marijuana- Some states in America have legalized the use of marijuana for medical purposes. There are numerous drugs that are used and abused. However, the above-mentioned ones are the most common and are highly addictive. Please note, that the above drugs are more likely to be abused the more accessible they are to the public. Hence, the reason prescription opioids have claimed the lives of millions. They are easily accessible and are very easy to get addicted to. Drug and alcohol use should be discouraged, not only among the younger population but among the adults as well. Drugs and alcohol are chemical substances that have the ability to impact our lives in negative ways. It not only affects the user and addict on a personal level but also affects everyone around him as well. From his family and friends to his academic performance and job, every facet of an addicts life will be impacted negatively. Addiction to a chemical substance is complex, hence the reason it is called a brain disease. People that are addictive are compulsive and have an unhealthy focus on using a particular drug despite the consequences. In other words, the drug or substance literally takes over their lives until it is all they think about. An addict can hardly function without the drug substance he or she is addicted to. This then begs the question, how does one become addicted? As previously mentioned, an addiction is often termed as a brain disease, and rightly so. This is because addiction directly affects the normal functioning of the brain, and hence, the body. How does this happen? Well, first and foremost, drugs and alcohol are chemical substances. Once consumed, the brain is directly exposed to these chemical substances. The drugs and alcohol directly interact with the chemicals found in and released by the brain. This direct interaction alters the chemical substances released by the brain, changing how it functions. Drugs and alcohol often lead to the overproduction of a hormone known as Dopamine. Dopamine is a neurotransmitter that often affects a person’s mood. If the hormone is overproduced, it will lead to a heightened feeling of euphoria. A person uses a particular drug, the less effect it has on dopamine. This is what is known as tolerance. In a bid to experience the feeling of euphoria, the user will increase his dose as time goes by. Over time, the person will have developed a state of dependence on the drug, which will later develop into an addiction. According to the Center of Addiction, individuals that suffer from addiction are considerably more than those that are diagnosed with heart disease, cancer and diabetes. The Center of Addiction states that at least 40 million American individuals, 12 years and older, have an addiction problem. The addiction prevalence in America has led to the increase in growth of rehabilitation and treatment Centers. According to Statista, the policies implemented in the United States encourage and promote treatment of the disease, but discourage punishment. Needless to say, these policies have only fostered the growth and increase of such Centers. Statista continues to state that there were over 14, 000 substance abuse treatment facilities in America, in the year 2016. The state of California is said to have the highest number of substance abuse rehabilitation and treatment Centers in America. A survey carried out in the year 2006 by the National Survey of Substance Abuse Treatment Services (N- SSATS) identified at least 1,820 recognized treatment Centers. Admittedly, from the results of their survey, the rise of certified treatment Centers increased by 48 since the year 2002. Fast forward to 2018, and the number of certified treatment Centers in California has increased at a staggering rate. The growth, as previously mentioned, has been fueled by the policies that support treatment of addiction. However, the increase in rehab Centers in California is also fueled by the increase in illicit drug use and addiction. The National Survey of Substance Abuse Treatment Services (N- SSATS) confirms the above-stated fact. According to them, California ranks among the top states with the highest population of alcohol abusers. However, other states also exhibit a good number of substance abuse treatment Centers. However, they are different types of substance abuse treatment Centers and programs. 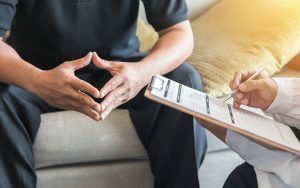 According to Statista, at least 82% of such Centers specifically offer outpatient treatment, while the remaining 18% offer long-term treatment. Of course, there are treatment facilities that focus on only adolescents, while others focus the LGBT population. Substance treatment Centers are diverse and offer different programs that run for a specific period of time. Maybe you’ve been considering taking your loved one, or maybe joining a substance treatment center. However, the high number of qualified and operating treatment Centers makes it hard to narrow down on one. Whilst keeping in mind your or your loved one’s specific and individual needs, which substance rehabilitation center is best? What makes a good rehabilitation center? Before we take to answer the above questions, let us first start by looking at the different types of rehabilitation Centers. It goes without saying that the growing number of rehabilitation Centers cater for a dire need. Both the public and the private sector in America offer different types of rehabilitation Centers, catering to this ever growing need. Below, are the different types of rehabilitation Centers available in the United States. This type of treatment is short as compared to the long-term treatment program. Such programs often run between 14 days to a little under 30 days. Regardless of the length, short-term treatment programs are often very extensive and efficient. Most short-term treatment programs are residential or non-residential. Residential treatment means that you may have to reside within the rehab center itself for the specified period of time. However, not all addicts are suited for short-term programs and treatments. This is because programs are usually tailored to treat differing levels or degrees of addiction. Hence, the more serious the addiction, the longer and more intensive the treatment should be. Long-term treatment is mostly, if not all, residential treatment programs. They often require the addict to remain within the confines of the rehab center for the duration of treatment. This type of treatment also differs from short-term treatments because it also involves detoxification before the program can commence. According to the National Institute on Drug Abuse, the best form of long-term treatment model is known as the therapeutic community (TC). This type of treatment model is often comprehensive, intensive and highly effective. More than often, it often runs for a duration of 6 to 12 months. It focuses on renewing the addicts psychological and social aspects of the addicts’ life. By involving everyone in the rehabilitation center, the addict is encouraged to be liable and accountable for their own actions. In other words, the addicts encouraged to discard destructive behaviors and develop positive behaviors. It is important to note that long-term are more expensive as compared to short-term treatment programs. However, they offer a safe and serene environment that is necessary or effective treatment. This helps limit external factors such as stressors that may distract and interfere with the addicts’ recovery. If the addict has been using a particular substance for an extended period of time, then it is essential that he enrols for long-term residential treatment. Moreover, if the degree of addiction, as well as the effects of drug use, are severe, long-term- treatment is a viable option. The longer the period of treatment, the more time the addict has to deal with and recover from his or her addiction. Professionals also use this time to identify the factors that led to the addiction in the first place. Of course, the extended period of treatment also allows the professionals more time to treat the causes of addiction, as well as the addict entirely as well. Hence, regardless of the cost, the benefits are numerous. The chances of the patient recovering are higher since the program is completely dependable. Outpatient treatment programs are often described as low intensity when compared to long-term residential treatment programs. They often entail that the patient shows up for the treatment but does not reside within the rehabilitation center itself. Hence, outpatient treatment programs are non- residential. Of course, it does involve various models that aid in the effectiveness of the treatment. It is important to keep in mind that this type of treatment best suits addicts that have with a reliable support system. With a supportive family, friends and a suitable environment for recovery, the treatment can be as effective as long-term residential treatments. This is where the addict is counseled on an individual basis. This allows the professional to fully focus on the particular individual, making it more effective. During the counseling, the addict is equipped with strategies to help them cope with addiction. Moreover, the addiction counselor focuses on addressing areas in the addicts’ life that have been affected by his/her drug use. As the name suggests, this type of counseling involves a certain number of individuals. Recent research confirms that this type of counseling is just as effective, if not more, as individual counseling. It is especially effective if it coupled with individual counseling. With this type of counseling, the addicts form a support system to help them promote a drug- free lifestyle. 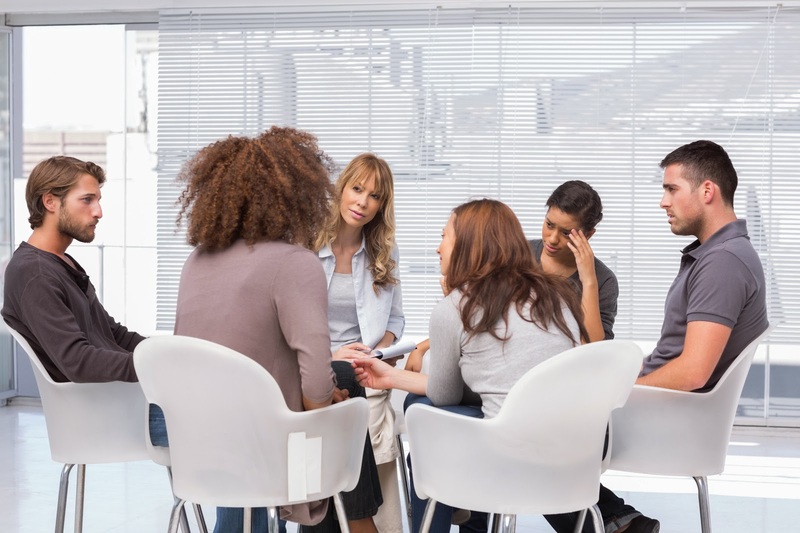 When it comes to selecting an addiction rehabilitation center, it is imperative to keep in mind the above-mentioned types. Long-term residential treatment programs are ideal for those that are severely addicted to a drug. Moreover, such treatment programs are ideal for those that have been severely affected by the drug use. Short-term treatment programs are still as effective. However, they are often limited to 28 or 30 days. This type of program is suitable for those that have not been severely affected by the drug. The same thing applies to outpatient treatment programs as well. They are cheaper and offer a more flexible schedule. Now that we are aware of the types of addiction rehabilitation treatment programs that are available, let us move on. So, what makes a rehab center good? With the numerous rehab Centers, how can you identify a good and reputable rehab center? Not every rehab center is the same. Some offer different programs while others aren’t as effective as they claim. Effective and credible treatments can help aid an addict into quick recovery. However, this can only be achieved by taking the affected individual to the right and the proper treatment center. That said; let us take a look at a few factors that determine a good rehabilitation center and treatment program. When selecting or trying to consider a rehab center that perfectly suits your needs, it is essential that you consider the cost. By factoring in the cost, you can select one that is within your price range or budget. However, do not be afraid to spend a little more money as it is a worthwhile investment. Every competent rehab center with an effective treatment program is accredited and licensed by the state government. State governments only authorize Centers that have effective programs, quality facilities and have a well- educated staff. Of course, numerous other factors are also judged and considered before any rehab center can be accredited or authorized. You can always ask the rehab center about their credentials and licensing that you are considering. Different rehab Centers offer different treatment methods. Some offer a detox program, counseling or other forms of therapy. Some even incorporate exercise such as yoga and meditation into their treatment programs. The key is to keep an eye out on rehab Centers that offer diverse and comprehensive methods that suit needs. As previously stated, the duration of a program is very imperative. Most expert’s advice that you select a program that suits your specific needs and severity of your condition. For instance, the more severe addiction, the better it is to enroll in a program that offers g- term residential treatment. Of course, a credible program should at least offer long term, short term or outpatient programs. You should at least be able to identify the types of programs offered by a particular rehab center. It essential that you identify your specific needs and expected results from a certain treatment program. Once you’ve done this, the next step is to find out whether or not the program goals align with your needs and goals. This helps increase the likelihood of the program succeeding. If both your goals and the rehab’s goals align, then you can proceed and join. This is a major characteristic of a reputable rehab center. If the rehab center couples their treatment programs with an aftercare program, then if you can be assured of its effectiveness. Transitional treatment or an aftercare program often focuses on supporting the individual even after he or she has left the facility. In other words, they are designed to help keep the addict away from relapsing through high- quality programs. Many rehab Centers often use the 12 step groups that aid in facilitating a support system for the individual. Ensure that the rehab you select offers a support program that not only functions during the program but after the program as well. In conclusion, for effective addiction treatment, it is essential to select a rehab center that is competent and effective. Ensure that they are accredited and offer all the programs that rehab Centers should be offering. Also, ensure that the program aligns with your preferences, needs and goals.